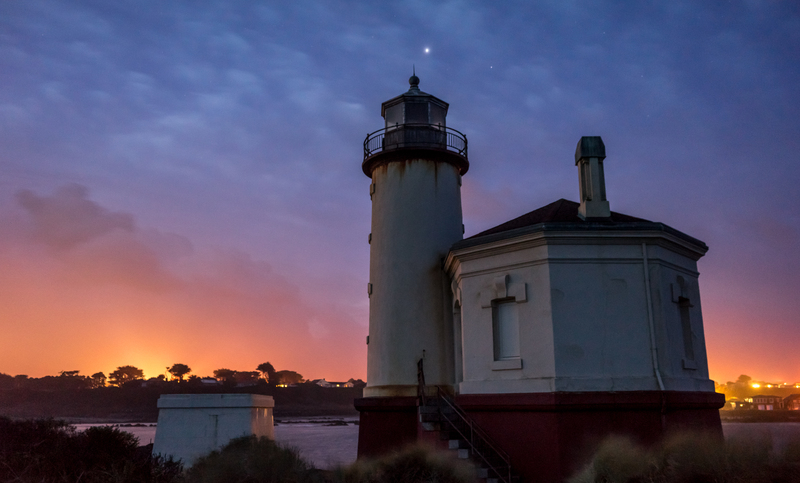 Coos Bay, Oregon, is home to small beach-town living at its finest. Given a generous three-day weekend to explore the natural beauty around this little community, you might just start considering making the escape to southern Oregon a permanent one! From sweet surf breaks, to classic boardwalks, crashing waterfalls, and white sand beaches, Coos Bay is a tiny slice of heaven. Pack your bags, make the drive, and come see for yourself. We've made it easy to explore with our ultimate itinerary. There's enough to do down here that you may need a second trip just to see it all! John Dellenback Trail is an excellent place to start your exploration of the Coos Bay area. 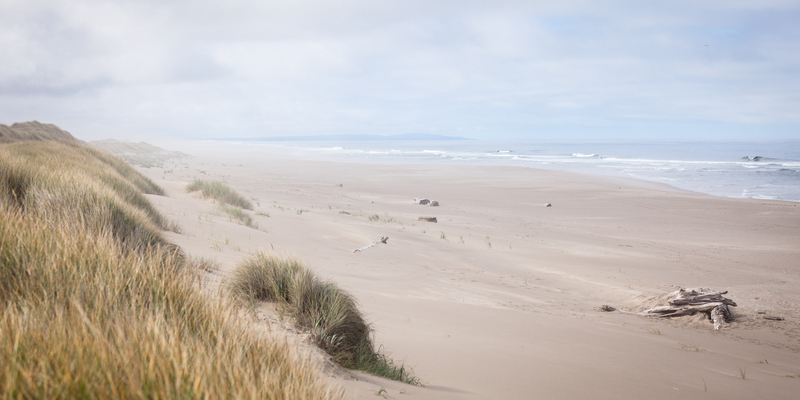 With the largest area of coastal dunes in the country, stretching 40 miles along the Oregon coast, there's plenty to see. On the John Dellenback, it's non-motorized access only, so the giant dunes will be free of the ATV use common in other parts of the recreation area. Bring your way-finding skills; with frequent heavy fog and trackless sands, it's easy to get a little off route here. On hot summer days, move inland to explore Golden + Silver Falls, an ideal place to chill out. The road may be closed 1 mile before the park entrance, but don't let this deter you from spectacular crashing waterfalls and refreshing spray from the 200-foot falls. The road walk into the trailhead is quite pleasant, closed to cars, and you can make this a long or short visit depending on whether you hike to the top of Golden Falls. Coos Bay itself makes a pleasant stop for refueling, lunch, and a leisurely stroll along the classic waterfront boardwalk. Brush up on your history by reading the numerous exhibits about the maritime and logging history of the town. The "Koos 2" tugboat is a bit of nostalgia right at eye level and makes for colorful photography opportunities as well. With plenty of shopping, restaurants, and coffee to fuel you, Coos Bay has plenty to offer the coastal explorer. History buffs will be keen to check out the Egyptian Theater, home to Oregon's last remaining original theater pipe organ. Originally the seat of Louis Simpson's massive family estate, Shore Acres State Park has enough variety to satisfy the most diverse tastes. Geology buffs will gape at the steeply angled sandstone blocks just off the coast. The former Simpson mansion allows great protected views of the waves crashing into these beautiful pillars. 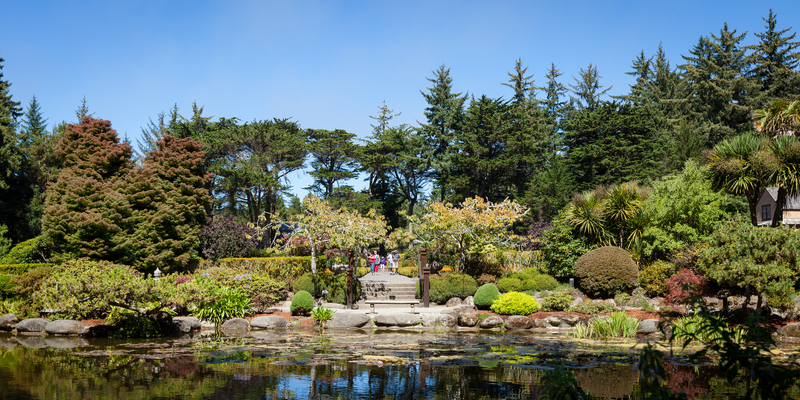 After a short hike to Sunset Bay, wander the meticulously manicured English garden filled with dahlias, roses, and rhododendrons. In the winter season, a lighting display is worth the visit when blooms are scarce. If more hiking is desired, check out the Shore Acres Loop Trail. Cape Arago State Park is a perfect place for lunch if Simpson Reef Overlook didn't already tempt you. There are many first-come, first-serve picnic tables throughout the park. Expansive views to the north from a rocky observation point let you soak in miles of coastline. A brief (but steep) hike down into South Cove off of Drake Point offers tide pools to explore and a bit of history to contemplate. Sir Francis Drake is rumored to have anchored here in 1579. Bullards Beach State Park is a family-friendly destination. With numerous educational signs describing the history of tsunamis along the Oregon coast, there's plenty to learn here. Four miles of beach provide ample room for picnics, beach-combing, splashing in the waves, and sand castle building. Numerous seabirds and mammals can often be spotted in the surf as well. For a day on the water, the boat ramp at Bullards Beach State Park offers entry into a 2.60-mile paddle to explore the Coquille River. Attention to tides is a must as water flow is significantly impacted. 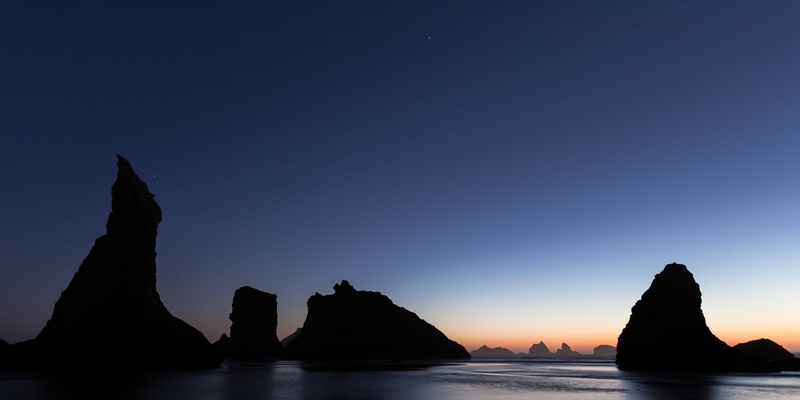 At low or outgoing tides, the Port of Bandon is an easy low-effort destination. On higher or incoming tides, turning inland and heading toward Rocky Point boat ramp is your best option. Here you'll be witness to highly successful restoration efforts made to Bandon Marsh. Both can be done as round trip paddles for the more determined boater; otherwise, a shuttle car is recommended.